Santa and his elves have been busy setting scheduled times to visit area children, so far here are the known dates shared by local towns. 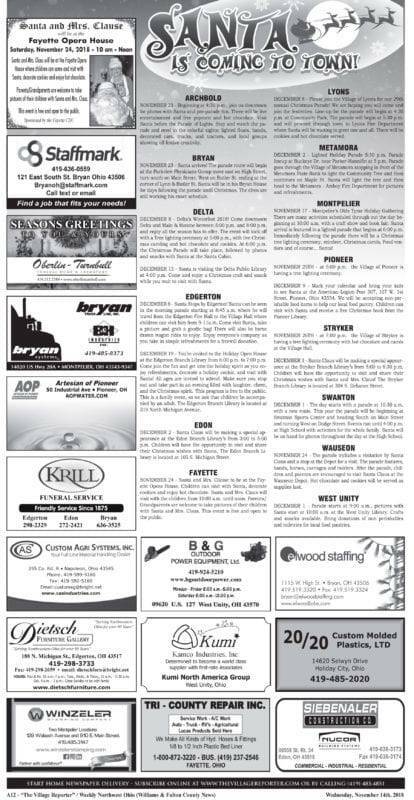 Thank you to our area community supportive sponsors for making this page available both in print and online! Be the first to comment on "Santa Set To Make Several Stops In Both Fulton & Williams Counties"